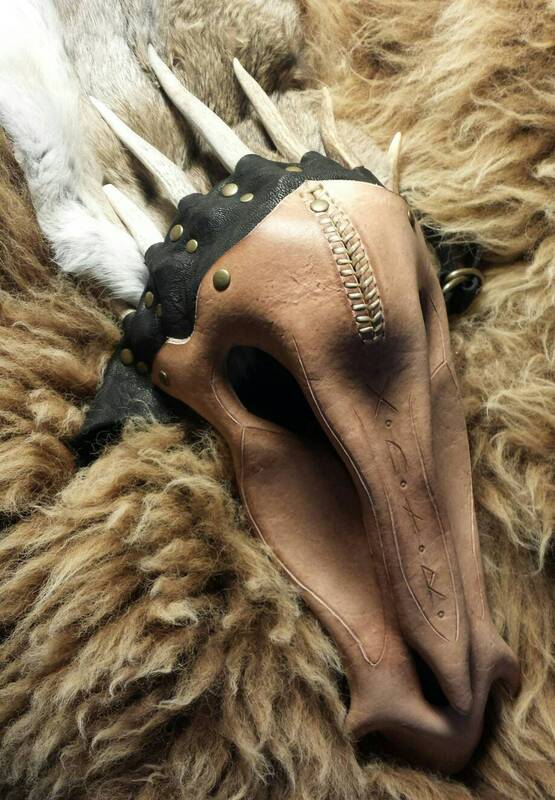 This listing is for the headdress shaped like a HORSE skull, with the antler tips. 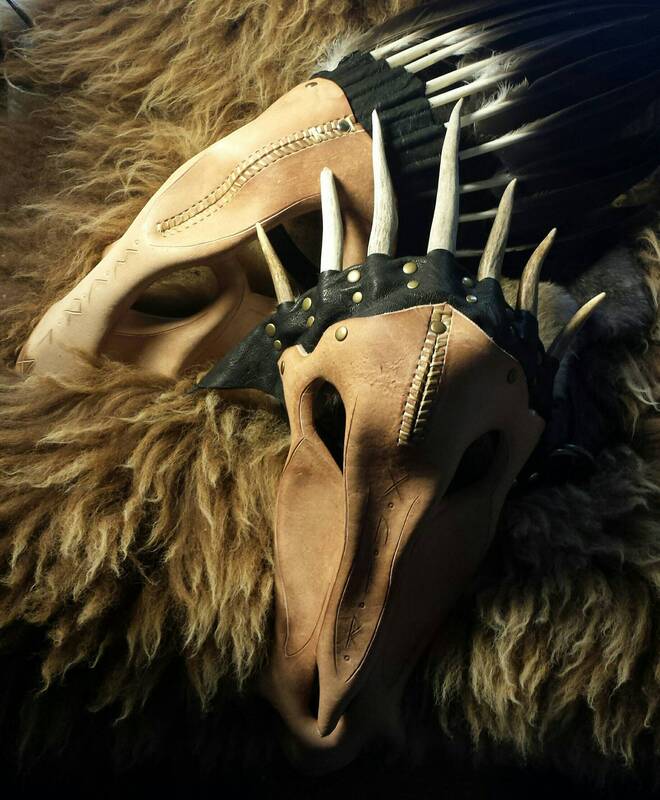 Its sister, the crow skull, is sold in a separate listing. 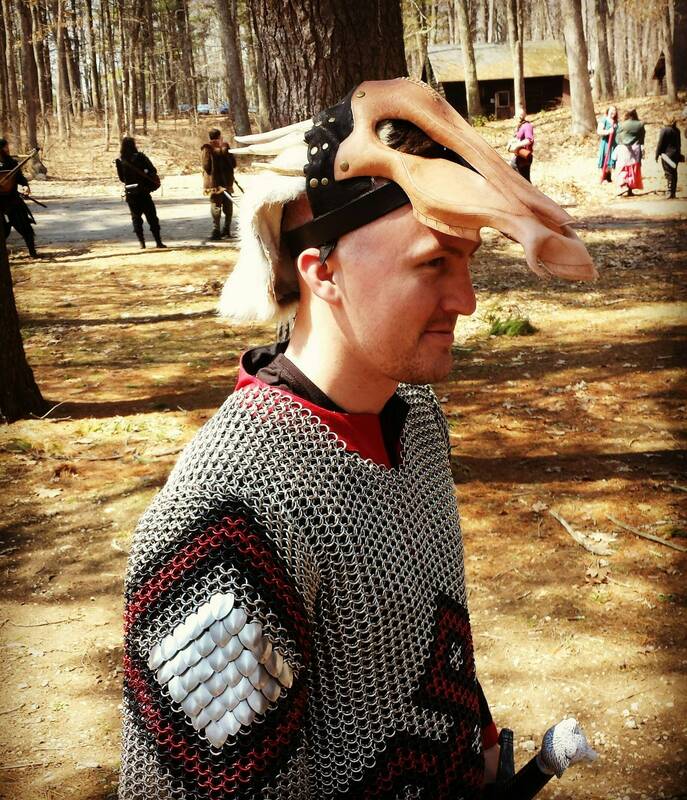 Above, see a picture of the headdress being worn, to get an idea of how these headdresses sit on the head. 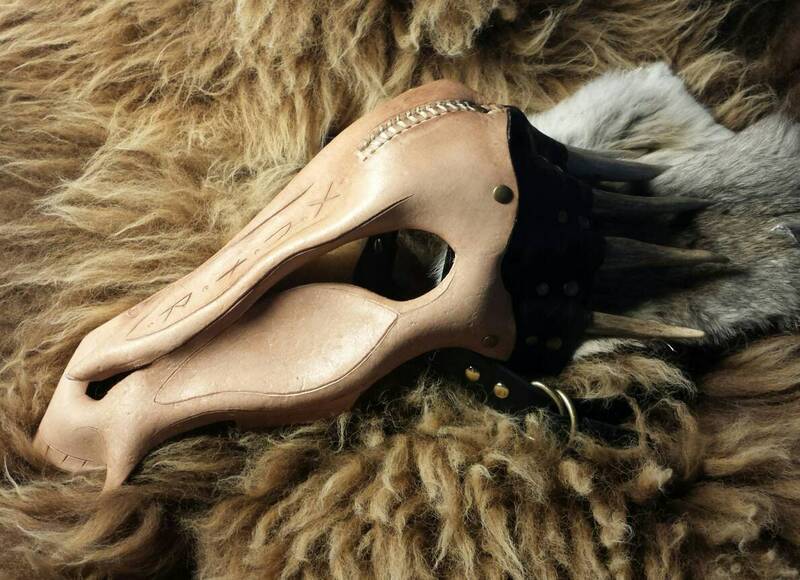 2) Choose color: This will be the color of the leather mask part of the headdress. Shown is the Natural option, with no color. 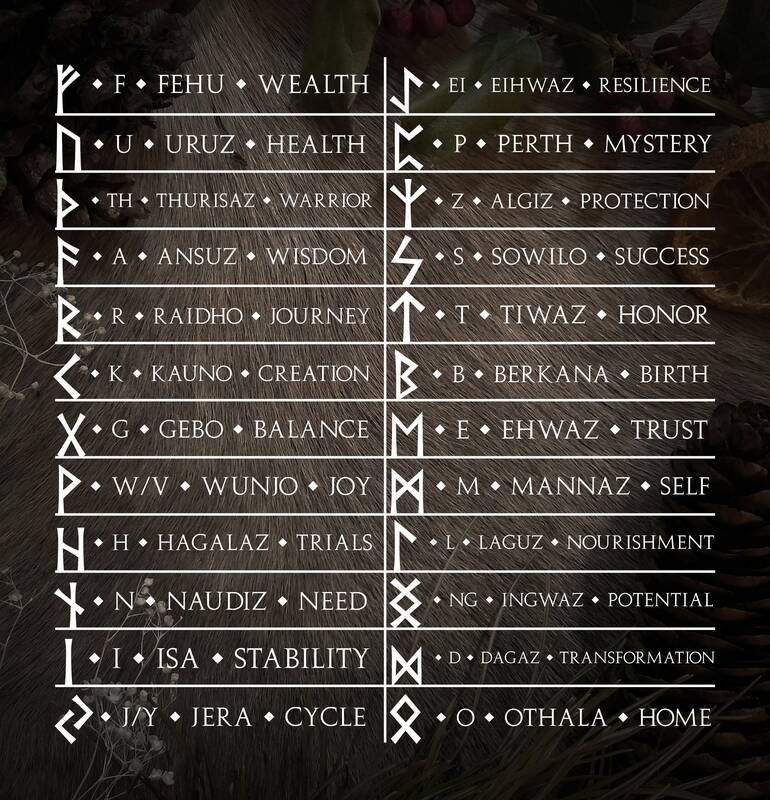 Shown is "Gunnr", the name of one of the Valkyries in the sagas. If no inscription is specified, this inscription will be the default.